Got a nice little project on the go at the moment for a customer, only issue is I'm not too sure if I'll want to hand it over when finished!! I've long been a fan of the Phase One GSXR, may have noticed I've a soft spot for the old SRAD's?? 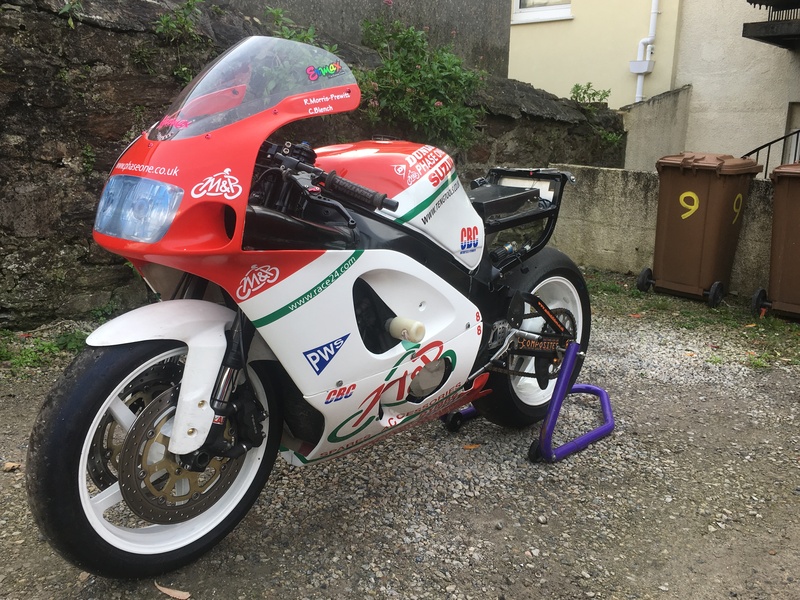 I'll not go into what the original bike has on/in it as its only a look alike we are doing, but suffice to say its a proper bit of kit, angry sounding doesn't do it justice!! The mudguard, tank and seat unit were supplied to me. 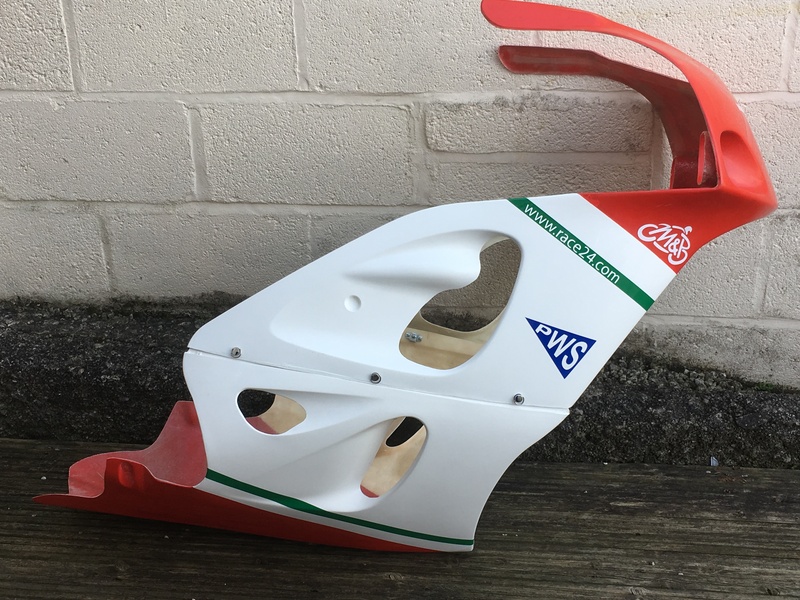 Seat unit needed a repair before going off for paint after an off last year on track. 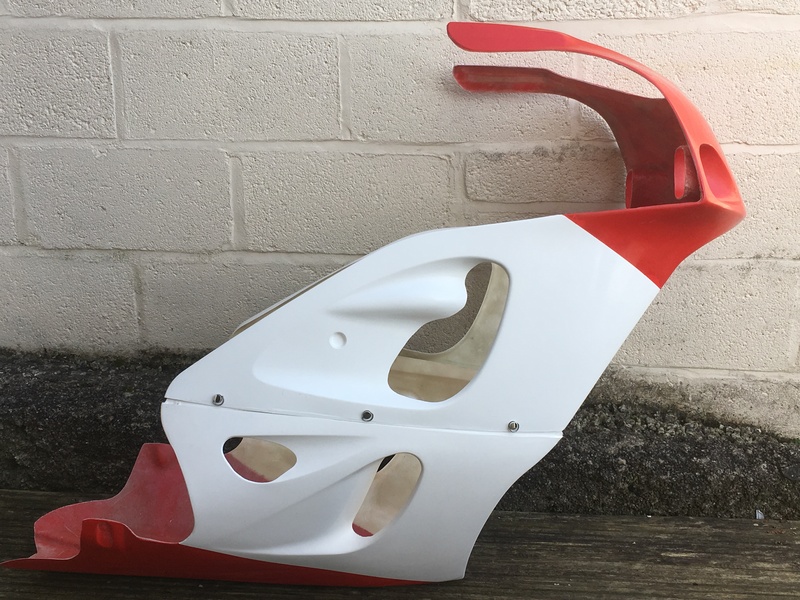 The upper and lower fairing area being made, as usual with the gel coat pre-coloured, the other parts painted to match the colours exactly. An addition to the services on offer is decals (more on them to follow) so I've got the tank back from paint and all stickerd up (bar the MRS decal that is still to be found/made). White and red are paint as in the first pic, the rest is vinyl. 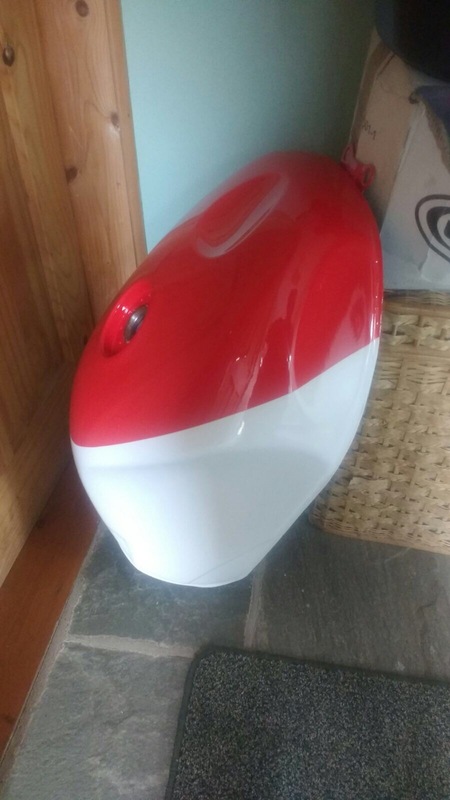 Once complete also will be fitting an air tray and tube combo to the bike so a re-map will be required to make use of the extra air volume we can push into the engine. I worked on that bike back in the day. so you know it's been rebuilt with a full factory motor (except for 2nd gear)? Do you have the Suzuka seat unit too? 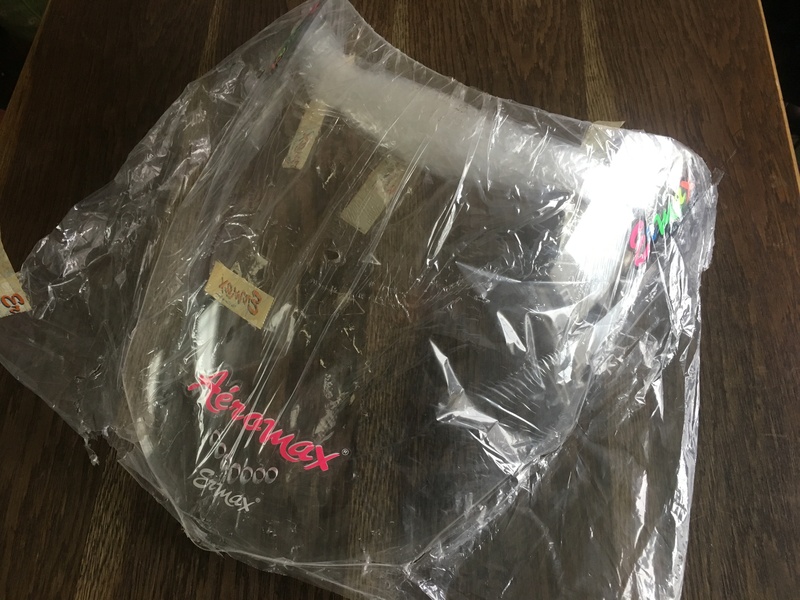 Its not out of a skip at Suzuka but a copy with the light recess. At a guess done by the place that did all of the kits for Crescent. The work involved in the actual bike is unreal! You didn't have the job of milling the back of the rear lens covers did you?? It's a kit box though. Sorry no I didn't do the seat units. Layne, I got the impression that this bike has been no nearer Phase One than my lawn mower? It's a replica rather than an actual Phase One bike? 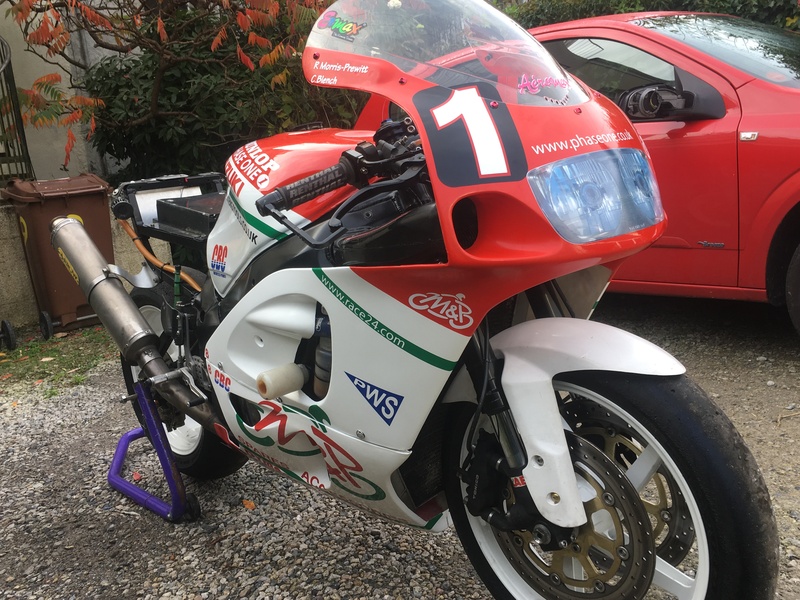 Yes it is one and still has the scrutineering stickers on frame (may even be Suzuka). The photo is taken in the workshop. Dunlop had it a few years ago on their centre piece stand for world championship cars and bikes at the Festival of Speed. Foggy rebuilt one of them more recently with SBK engine. N.B. Just to qualify myself, we had a couple of bikes back then. Russ did buy one back and we held onto one. A sponsor or 2 had one and a couple of team members had some stuff to from memory. Being Endurance as well as Russ being a hoarder so we had a lot of kit. I think Scotty will remember more from back then. Interesting thread, is Scooby just doing the bodywork, or the whole bike? 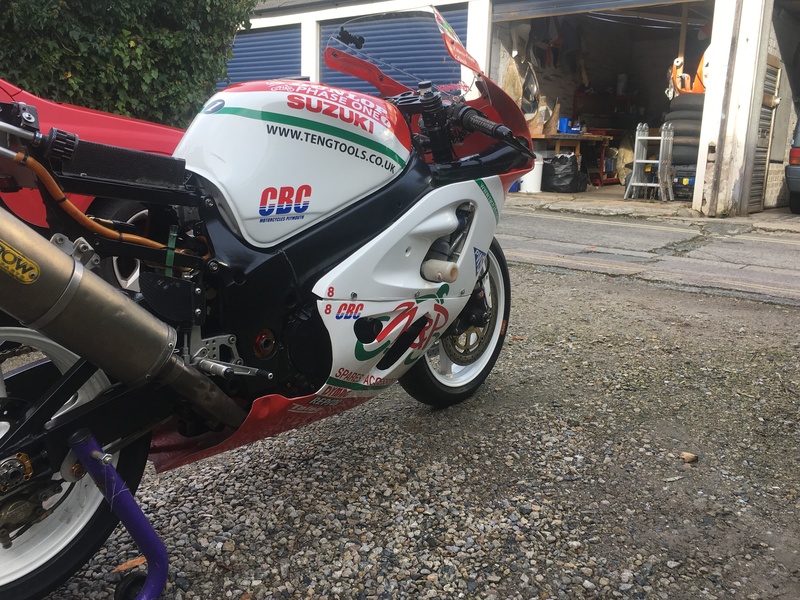 My mate Ali bought one of the 2000 WEC championship bikes from our former sponsor Andrew Holyoak, it's the full monty with kit engine and gearbox, Ohlins front and rear etc... it's a much more demanding bike to ride than the '98 SRAD that he had previously, and works best towards the upper end of the speed spectrum, at the kind of velocities it did in the hands of Messrs Linden, Mertens and Nowland. 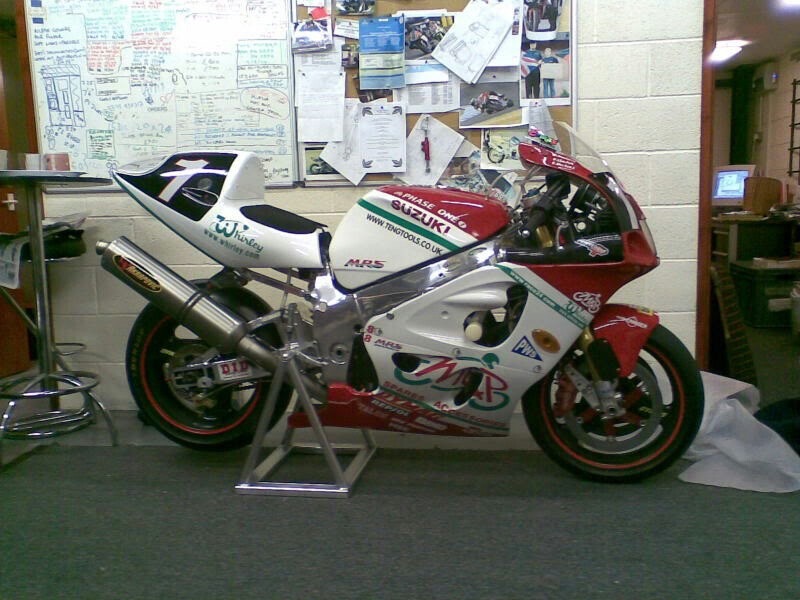 Ali has two sets of bodywork for it; the regular M&P livery as in the photo and a Repsol set used at Suzuka that year. Thanks Scotty. New you would chip-in. Thought it was Ali and Andrew. Was just coming back to update my message. Alas just a stock (ish) bike these are destined for. It will just be a look alike with a few teaks to the bike. Taking it slowly, very, as the kit isn't being delivered until Christmas. 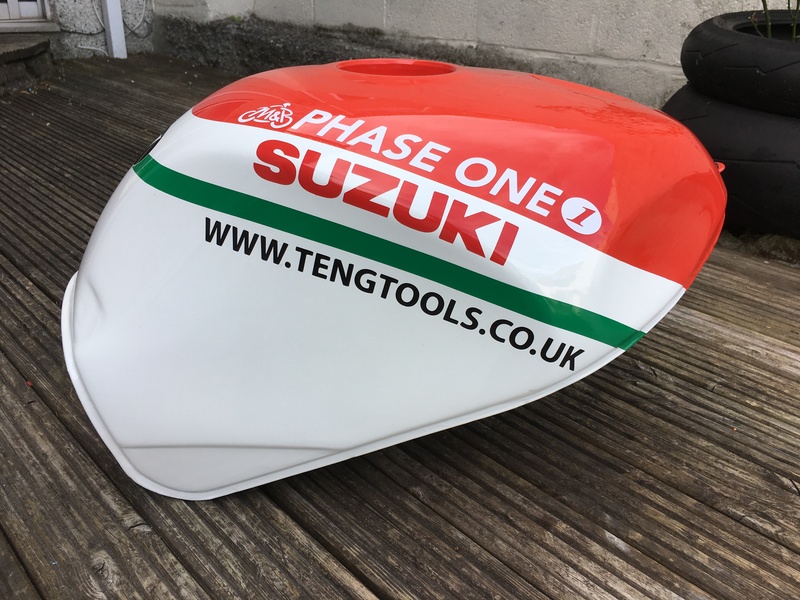 The fairing was a nice simple White/Red and then started to add the decals. Test fitted the tank and front fairing onto my bike to get an idea of how it was coming together. 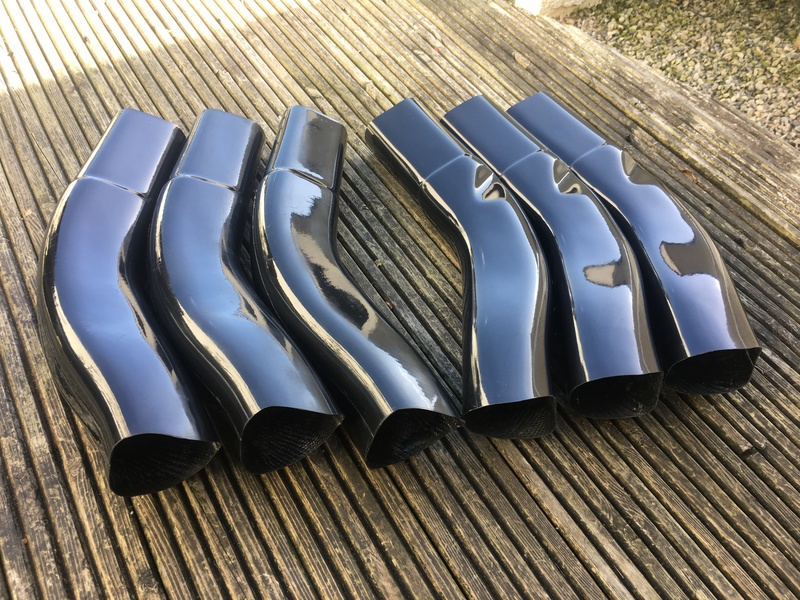 2 piece air tubes were on the original bike, but I'm still yet to mould the pair I have, so a pair of XRO 1 piece replica's will go on instead. Slight change happening now with the front, the headlight decal has been removed and will be replaced with a white number board. Personally I like the headlight, but as its not for me I need to follow the customers wishes. On a slightly abstract connection, prompted by the Race24.com decal on the fairing, I'm saddened to report the death of Martin Gelder, long-term friend of Phase One, former team member, and creator of the incomparable Race24.com website through which Martin almost single-handedly provided brilliant coverage of the World Endurance Championship events round the world. Martin was a truly nice guy and I shall miss his cheerful presence in the pit lane. So long buddy.